Native advertising has been all the rage in the media industry for quite some time. Essentially, native advertising is sponsored or paid for content that is written and crafted in such a way that it blends into the publication or platform where it is being published. This adds value to the publisher (because they’re getting paid), the target audience (because it’s the type of content they want to consume) as well as the advertiser (because they’re reaching their target audience). As one can expect, native advertising has made its way to printed magazines, blogs, websites, social media and even mobile platforms. 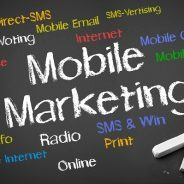 There are, however, a few things to keep in mind if you are embarking on a mobile marketing strategy that involves native advertising. With over 50% of Google searches coming from mobile devices, it’s worth your while to make sure you’re getting it right. Cell phone screens are small, so any type of ad that you create shouldn’t hi-jack this space. If the ad you are running pops up on a person’s screen and they are unable to close it or click away, the ad won’t be doing your brand any favours. Your native mobile ad will only be appreciated if it flows seamlessly with the content that your reader is already busy consuming on their phones. Native ads need to be non-obtrusive. It’s not enough that your ad works across platforms – it has to be designed with a mobile-first approach. If you need to make sure that your native mobile ads are aligning with user intent, then contact WSI OMS today.